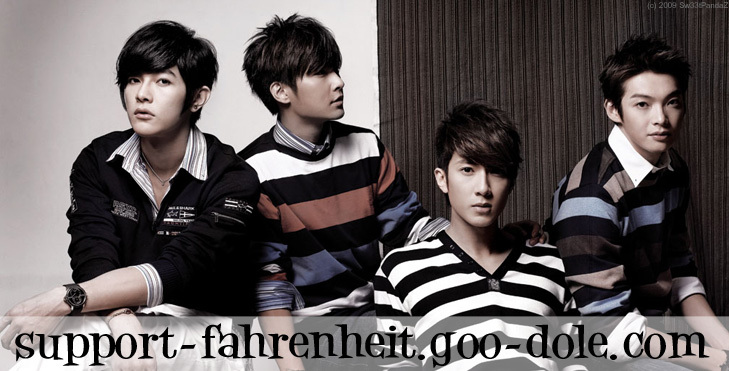 Fahrenheit's Wu Chun, Jiro Wang, Calvin Chen and Arron Yan due to filming contracts have had to go separate ways, causing non-stop rumors of them not getting along with each other and disbanding, but the four members have continuously showed that their friendship has not ended. 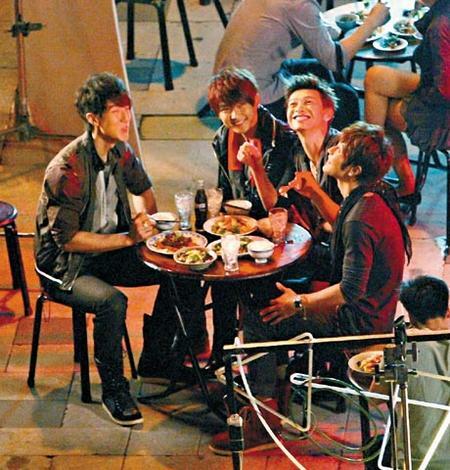 Yesterday all members were present to film the Coca-Cola advert, Wu Chun and Jiro had a secret plan to help celebrate Calvin and Arron's birthday which are in November, even making the director join in with the prank, causing them both to shout "we've been pranked". 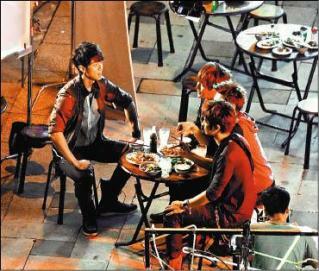 The advert was shot on 4 consecutive days, on the last day the director suddenly changed the script placing it upon Calvin and Arron, no matter how they acted the director wasn't pleased, re- shooting the scene over and over again. Calvin extremely puzzled said " The last few days the director has been really nice, has he taken the wrong medicine today?". Arron was also shouted to complete bewilderment, the director then finally cursed "Can you two not act it out?" and then shouted for a 5 minutes break. With the tense atmosphere, suddenly the whole studio went dark, Wu Chun and Jiro took out the hidden cake and after seeing the candle light, they both realized what had happened. Calvin argued that he vaguely guessed that they were playing a joke, Arron from start to finish was scolded until near crazy, he was completely fooled. Calvin made a wish that he can buy a house soon and also previously for raising money for the 8/8 flood victims he designed a T-shirt for online sales, recently he donated the $100 000 NT to the TVBS compassion fund doing charity to celebrate his birthday. Lol sorry. I'm so used to calling him Wu it's a habit.